Finally the Las Vegas desert has cooled down (like for real) and we desert folk are being reminded what sweaters are used for. On the same note, the winter weather and shorter days also mean that Las Vegas is about to be popping (more than usual) with tons of holiday shows and that overall sense of seasonal spirit that is seemingly built into the coming months. With so much to do, for those of you who are not local, it can be difficult to pick out the best way to spend your weekend in Vegas. That’s why we carefully selected some of our top picks of the must do events happening in town this week. And now that all of the work is taken out of your planning process, let us invite you to grab your sweaters, head out the door and cozy up to an awesome experience in Sin City. When: Tuesday, Nov. 10, 2015 from 5 – 8 p.m.
Feel like getting in the holiday spirit? Well look no further than Ethel M Chocolates’ 22nd Annual Holiday Cactus Lighting. Yep, we are in the desert so a cactus lighting is only appropriate and trust us, it’s stunning. 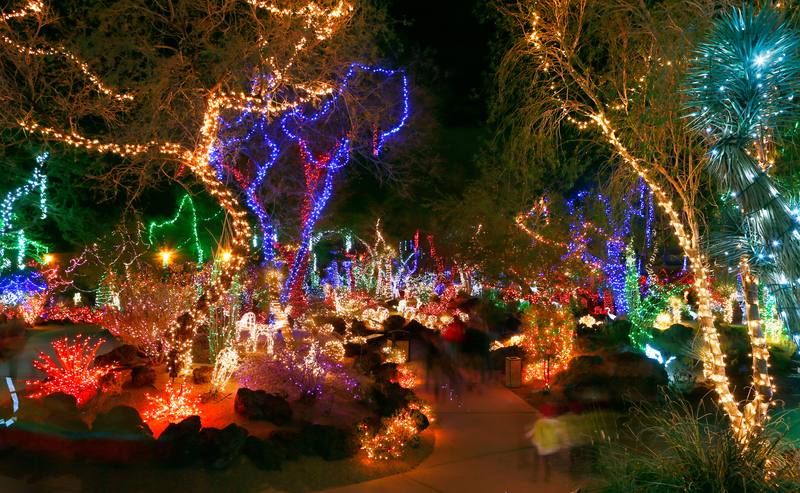 With more than half a million colorful lights set to illuminate the Cactus Garden at the factory, this sparkling tradition is one that’s always entertaining. Other entertainment at this free event includes local celebrities such as Mercedes of MIX 94.1, who will emcee the event, as well as Las Vegas performers including Human Nature, Jabbawockeez and Sin City Opera. Other holiday festivities include photos with Santa, chocolate samples, face painters, balloon artists and raffles. 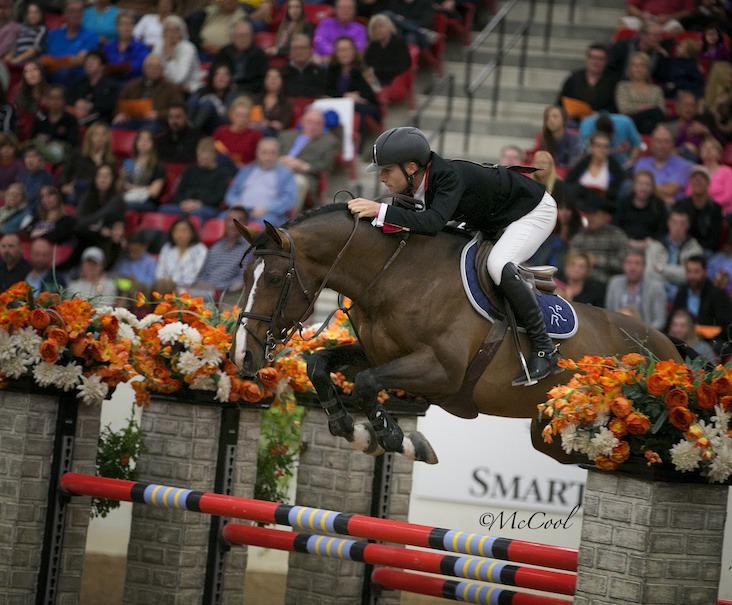 Karl Cook competes in the Las Vegas National Horse Show Grand Prix Horse Jumping Event, photo courtesy of Showpark.com. When: Saturday, Nov. 14, 2015 at 7:30 p.m.
We’re proving once again that Vegas is so much more than just a pretty face… eh, place. Bringing some entertainment diversity to the South Point Arena this Saturday, the Las Vegas National Horse Show Grand Prix Horse Jumping Event will boast an evening that includes a colorful Parade of Nations, live entertainment featuring Playing by Air, and the electrifying and fast-paced $100,000 Longines FEI World Cup Las Vegas competition. But wait, there’s more… at the competition’s end, the equine fun continues with rider meet and greets with famed competitors including Rich Fellers, FEI World Cup Finals Champion and Olympian; Margie Engle, Olympian and Pan American Team Silver Medalist; Richard Spooner, three time winner of the Monte Carlo Grand Prix and National Cup Gold Medalist; Will Simpson, Olympic Gold Medalist; Reed Kessler, National Cups Finals member and youngest Olympic competitor; and many more. International show jumpers include Matt Williams from Australia, Kevin Babington from Ireland and Eduardo Menezes from Brazil. Whether you’re an equestrian enthusiast or simply looking to switch up your entertainment for the evening, this unparalleled jumping show should be included in your Vegas weekend itinerary. Calling all runners! 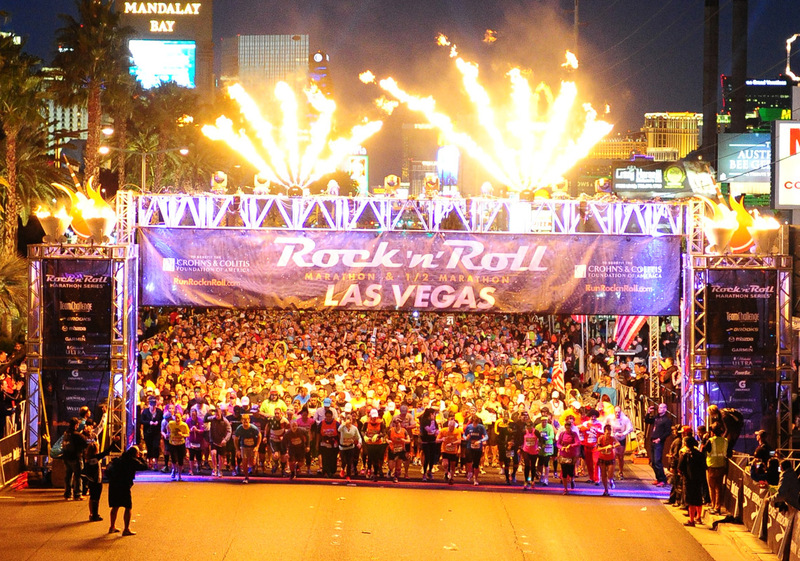 This weekend in Vegas is likely the one you’ve been training for for many months… unless you are going to decide to run this awesome marathon on a whim, in which case, good luck. With the entire weekend dedicated to a series of events that surround the epic Rock ‘n’ Roll Marathon, it’s no surprise that each year, more runners participate in the Rock ‘n’ Roll Marathon running events than any other running series in the United States. Raising funds for charitable causes, the event features world-class health and fitness expos and a musical performance by Kid Rock. In addition to all of this, participants get awesome deals on dining, nightlife and other opportunities on the Strip. With options to run a full marathon, a half marathon, a 5K or simply cheer on the sidelines, this athletic event has a little something to offer anyone who wants to be a part of the fun. 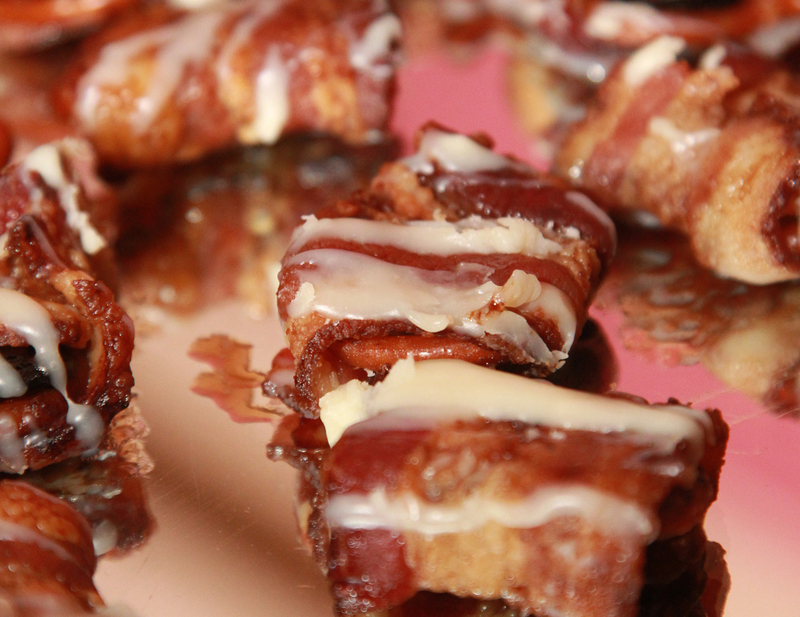 Bacon lovers, this is your chance to take your love for bacon to a whole new level of deliciousness. Dubbed the “mecca of all bacon festivals,” the infamous Blue Ribbon Bacon Festival will be sizzling up their 9th annual “Extreme Bacon Bite Challenge” in Sin City for the first time. Bacon enthusiasts from across the globe will unite in gluttonous glory to consume an estimated 15,000 pounds of bacon in addition to having the chance to tie the knot in a bacon-infused wedding ceremony by the United Church of Bacon. Hey, those who bacon together stay together — just keep that in mind. Selling out their events since kicking off this scrumptious soiree in 2008, the event will feature top Vegas chefs including Marcus O’Brien – head chef at Hard Rock Casino, Chris Conlon – head chef at Light Group/Hakkasan, Melvin Johnson – chef de cuisine at Southern Table and Bar and more (there will be 10 chefs serving 20 variations of bacon bites), who will all compete to make the best bacon bites you may ever have in your entire life. Now, that’s a pig… ahem… big deal.